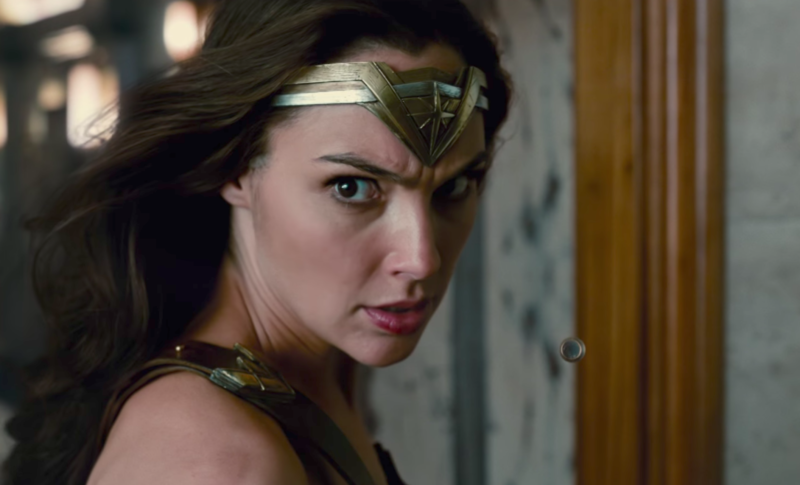 The first trailer for "Justice League" is here, and it might as well be called "Wonder Woman 1 1/2"
The first trailer for the all-DC superheros team-up just dropped at San Diego Comic-Con, and it’s clear that Warner Bros. knows one pure thing to be true: We are all here for Wonder Woman. Sure, the characters of Batman, Aquaman, The Flash, and Cyborg are cool and stuff, but none of them are a Princess of Themyscira. Considering that Wonder Woman has smashed so many box offices (and has quickly become the best DCEU movie to date) it’s no wonder she is front and center in this first trailer. The story is your usually, “these unlikely allies have to ban together to save the world from some evil stuff,” and we’re totally fine with that. We also get a much better look at these other friends of Diana, like Aquaman and The Flash. Jason Moma is *spot on* as he swims through the ocean and carries around his giant trident (which he also brought to Comic-Con), and Ezra Miller gets in a few good jokes as the lightning-quick Barry Allen. However, let’s talk about the best surprise in this trailer: Themyscira!! Aka, our ideal vacation destination! Scratch that, how much do you think a little one-bedroom apartment goes for on Themyscira? Because we want one. You can check out Diana Prince and her buddies when Justice League lands in theaters on November 17th.